Going to my grandparents' farm is always a special treat. Outside we have the chance to experience the wonders of nature with acres and acres to explore, rocks to climb, a winding, mesmerizing creek to splash in and garden full of treats. Inside their home, the kitchen is always full of bustle as grandma whips up sweet rolls, cookies and a rainbow of canned produce and jams. I have so many wonderful childhood memories of visiting my grandparents and spending summer days watching them and learning their tricks. They grew up in a vastly different time, when TVs and computers did not exist and as children they learned to love nature and its marvels and cherish time together as a family. 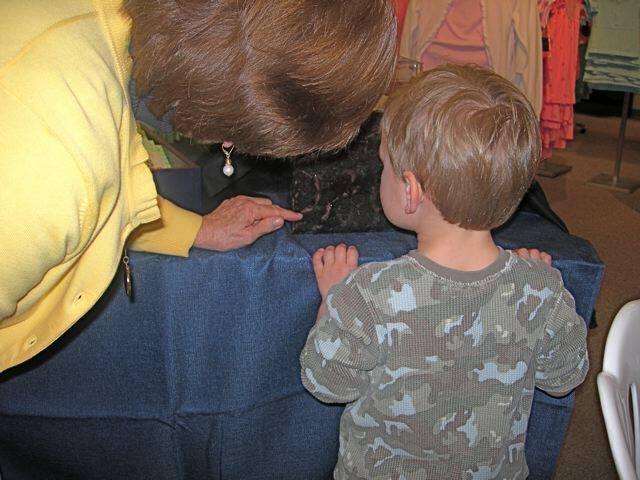 They made sure to engage their grandchildren in similar experiences. When we visited them we did not sit in front of the TV but instead participated in life-enriching activities, played games and lived in tune with nature. I'm always on the lookout for books with fun activities, and I highly recommend this one. Parents and others involved in bringing up a child -- do not discount this book! While the book is geared toward grandmothers, the ideas and eco-friendly projects presented by Lovejoy aren't just for grandparents. I accidentally left my copy at the dentist office and the staff members enjoyed browsing through the imaginative book and thought it was simply delightful. In addition to all the fun activities, Lovejoy has sprinkled inspiring quotes and sidebar tips throughout the book. All the photos and illustrations really motivate - I've been pouring over the pages now for a week and can't wait to try out all the activities for all seasons with my kids. We already tried the leaf rubbing craft. Grandma will need to fight me if she wants to pry this book out of my hands! 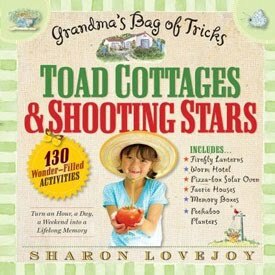 Lands' End and Workman Publishers has graciously offered to giveaway a copy of Toad Cottages and Shooting Stars to a Brimful Curiosities reader. To enter, leave a comment relevant to this post or tell me your favorite gardening or nature activity for kids. • Contest ends on Monday, May 10th, 2010 at 11:59 PM CST. We are planting a vegetable Garden this year. I spent a lot of time on my grandparents' farm growing up as well. This book sounds like such fun. Too many children spend all their time on indoor activities like video games. My favorite nature activity is growing flowers from seeds. My favorite to grow is Dwarf French Marigolds that are multi-colored. We planted a mystery garden this year. 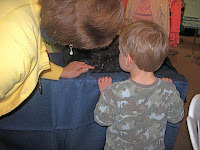 My three year old was so over zealous that I could not keep him under control. He was throwing, dumping, and burying seeds all over the garden. We will see what we have when it starts to come up I guess. Sounds like an awesome book! 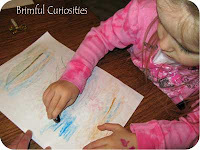 Love activities that inspire time outdoors! I like looking for bugs and worms with the kids. My kids love to make "Mud soup," not pies, soup. Don't ask me why. Nature scavenger hunts are always a big hit. I like showing kids how to start gardening from the beginning. We plant seeds in plastic cups, until they are big enough to plant in the garden. Then the summer is watching them grow, and taking care of them. I think growing vegetables is great! They learn about plants and then how to use them for food! I had a vegetable garden when I was little but I'm afraid the carrots never made it - I was always pulling them up to see how big they'd gotten! We love building fairy houses. Wish I could go to the local event. My oldest likes to plant and dig up potatoes every year. It's so fun seeing him get into that. This year he was worried about hurting earth worms while he was digging. Thanks so much for your insightful comments about my book Toad Cottages & Shooting Stars. As you can tell it was written with love for both children and their mentors. I loved reading your past posts too. We hope to grow pumpkins, and I have an idea to put a name on each growing gourd! It's simple and yet seems a bit of magic for a child!! I sure would love this book of charm and ideas, nature and learning is the key to a happy life for children of all ages! We love to go to our camp and enjoy nature in the mountains. Our favorite activities include cooking over the camp fire and a partner scavenger hunt. This looks like a wonderful book. I actually just bought this book and love it! I bought another copy for my mom for mother's day, and I have one more person on my list who I think would enjoy this one! My favorite thing to do with my kids is visit the Sierra foothills here in CA with my family. Although our kids are young, they already love visiting the streams, fields, and bridges that are so beautiful around here. Yesterday we went to an old wooden covered bridge for them to clomp around in and they loved it. Just getting out there and seeing them enjoy nature is fun! I got the boys some sunflower seeds they are going to plant to feed the birds and have a contest on who's will grow the tallest. Although we live in the city, we are fortunate to have Metroparks available which offer all kinds of free nature activities - nature walks, an annual Bug Fest, an annual Fishing Derby, mapling in February/March. Our favorite nature activities usually revolve around some of the Metroparks' activities! This book looks as though it would be a great inspiration for more creative ideas for the bebes and for the grandbebes! Thanks for the chance to win! I would love to read this book. I teach and live in the country and am always looking for nature "things." My guy likes to help in the herb garden - by eating the dirt :) Would like some ideas for other activities as he grows up! I love the joy of picking something and being able to pop it right in your mouth. So wonderful! It sounds like a wonderful book. My grand-daughters love to do all outdoor activities whether it is planting seeds or watching stars. I love to garden but my kids are not interested. This sounds like a great book to get them engaged. I'm drooling over this book! My daughter is very much into hands-on activities right now - that 'discovering the world' phase. My son loves flowers and just got me a hanging basket for Mother's Day. He is anxious to plant our vegetable garden and will want to check it multiple times a day to see if there are any changes. Last year I thought that excitement might wear off, but it never did. Would love to have this activity book. I love watching how excited my kids get watering the plants. Very sweet. Thanks for the chance to win! Gracie has been trying her hand at growing herbs in a terrarium, and she loves it! We like to go on hikes in the national parks and preserves. We collect the seeds from our flowers at the end of summer. we store them in a brown bag in the basement all winter and when spring comes, the kids and I take them outside and plant the seeds in our flower beds. The little one anxiously wait for the flowers to sprout. Each little one gets to plant and take care of his choice of vegetable in the backyard garden! My kids helped me plant the garden this year. They planted the beans and cucumbers by themselves. My favorite gardening activity so far this year has been growing Alfalfa sprouts with my preschoolers... they were amazed!